The story of the Tiger family is complicated and convoluted. The German Army’s desire for a heavy tank dates back to before the outbreak of war, and the development process that led to the tanks which eventually took to the field includes competing designs and a number of abandoned concepts and projects. This short series is a highly simplified account that cannot hope to encompass all the different designs and changes that occurred throughout the war. Competition between the firms of Henschel and Porsche is a recurring feature of the Tiger story. 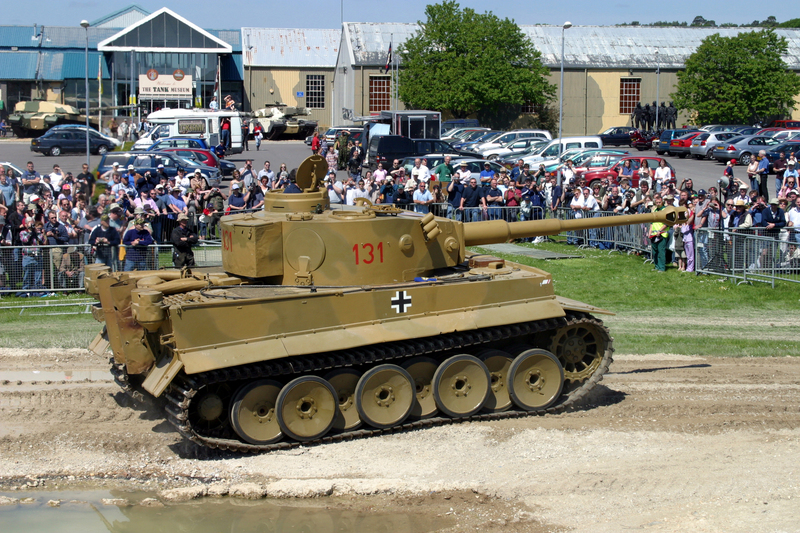 Their first designs were intended to meet the Army’s specification for a Vollkettenfahrzeug, or fully tracked vehicle, weighing approximately 30 tonnes. This was known as VK 30.01. Henschel and Porsche’s submissions, VK 30.01 (H) and VK 30.01 (P), were built and tested during 1940 and 1941. Analysis of combat experience in France in 1940 showed that a more powerful gun and thicker armour would be required on future battlefields. 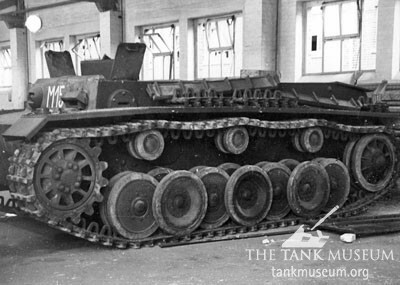 It was clear that any resulting vehicle would have to weigh more than 30 tonnes, so the VK 30.01 projects were both dropped. 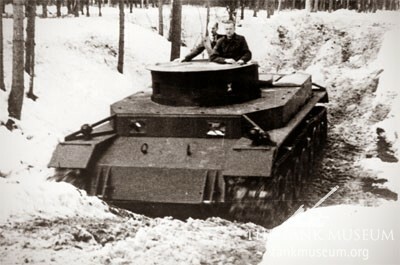 In consequence, from mid-1941 Henschel developed a 36 tonne vehicle named VK 36.01 (H). 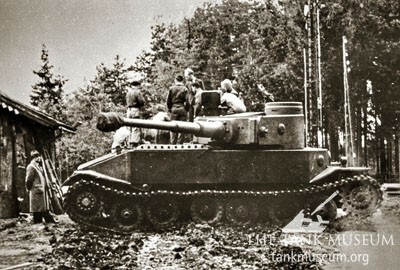 However its intended armament, a 75mm squeeze-bore gun, proved unsuccessful and the tank was too small and light for the alternative 88mm weapon. This forced Henschel to abandon the design after just one hull had been built. 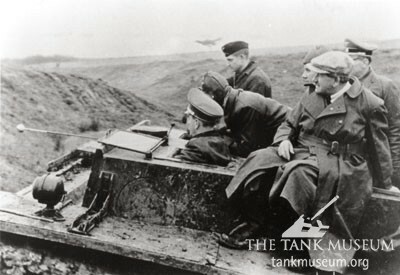 Ferdinand Porsche (in the flat cap) riding the Henschel VK36.01. At around the same time both Porsche and Henschel began designing and building vehicles to meet the still larger VK 45.01 specification. This tank was to be fitted with an 88mm armed turret built by Krupp. Ferdinand Porsche had a close relationship with Hitler dating back many years. They had met and discussed the VK 45.01 project several times during late 1941 and 1942. 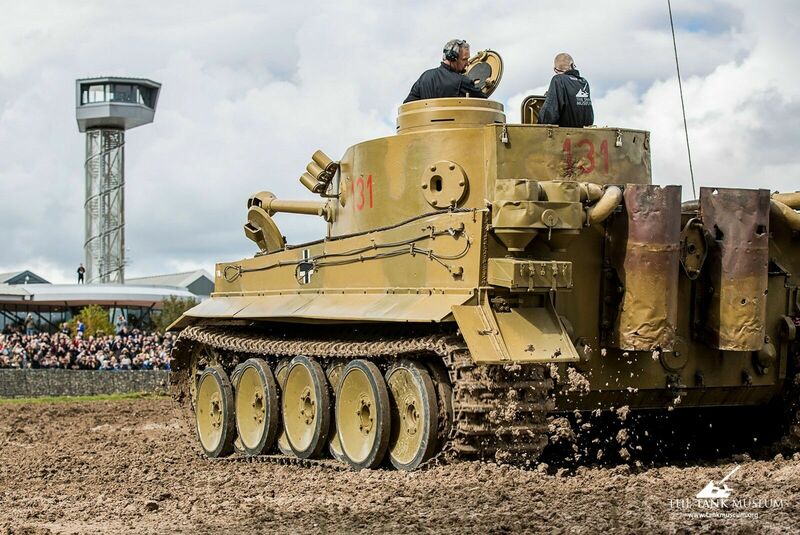 This relationship paid off at a competitive demonstration of the two vehicles on Hitler’s birthday, 20th April 1942, when the Fuhrer ordered Porsche to build 100 hulls. 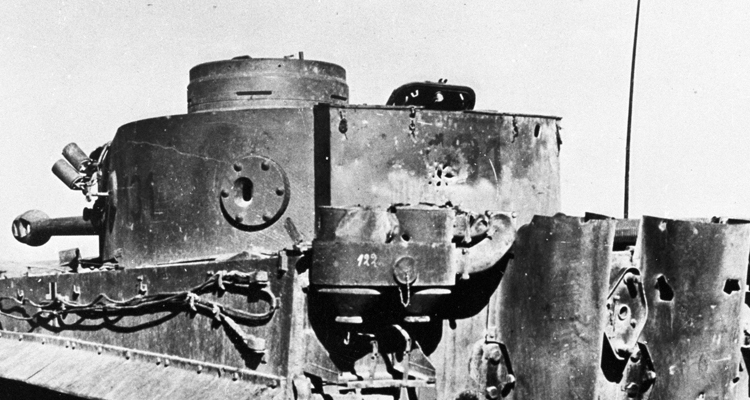 Despite Hitler’s support, during trials in 1942 it became clear that the Porsche tank was unfit for combat. Its unconventional engine and drive train proved unreliable and required too much scarce copper. After a final trial in November the Army cancelled the project. 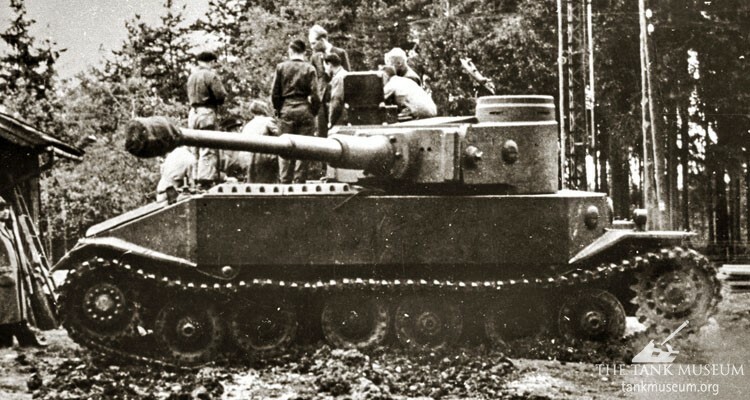 Rather than waste the completed chassis, in 1943 it was decided to fit 91 with an armoured superstructure, a new engine and the longer 88mm L/71 gun to create the Ferdinand (later Elefant) tank destroyer. Henschel’s VK 45.01 (H) used several components and concepts from the VK 36.01, particularly the interleaved road wheels. It was fitted with Maybach’s new HL 210 P45 engine, and Krupp’s turret. 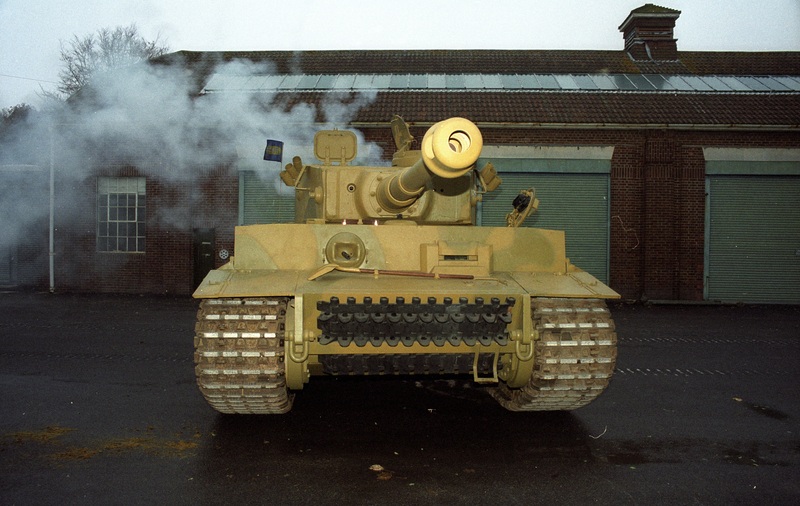 This won the contract and with further development during 1942 became the Tiger I. The Sturmtiger was built by fitting Tiger I hulls with a new superstructure. Part 2 of this series looks at the development of the later members of the Tiger family, the Tiger II and Jagdtiger. 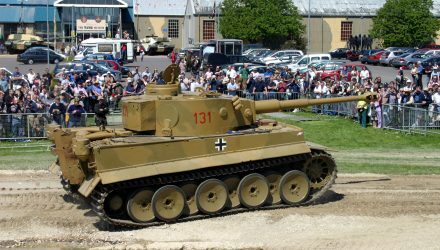 Still love the King Tiger which was a 10.5cm Tiger II. Perfect sniping tank. The Jagdtiger was a Tiger II turned into a Tank Destroyer with no turret traverse. But great frontal armor. Problem with the Tiger II (H) and Tiger II (P), as well as the Jagdtiger, was the lower hull was easily penetrable. They would have to go hull down since the upper glacial afforded go richocets.